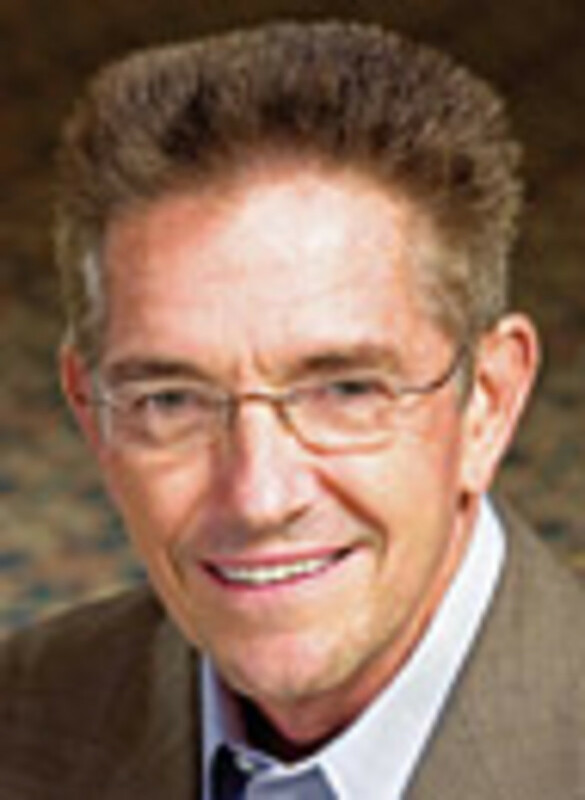 William H. McGill, Jr. is chairman of the board, chief executive officer and president of Clearwater, Fla.-based MarineMax Inc., the country’s largest recreational boat and yacht dealer. McGill, 65, graduated from the University of Dayton with a Bachelor of Science degree in mechanical engineering. He joined Pratt & Whitney as a test engineer before moving on to work at Northrop Nortronics as a subcontractor for the National Aeronautics and Space Administration. He decided to apply his engineering, leadership and management skills to a new career in manufacturing at the Kendall Company in Kentucky, which subsequently became part of Colgate-Palmolive. In 1973, McGill assumed ownership of a 12-year-old boat dealership in Sarasota, Fla., called Gulfwind Marine and opened a retail operation in St. Pete Beach, Fla. He opened a Clearwater, Fla., location in 1974 and eventually expanded the dealerships to cover the west coast of Florida. McGill has served as the chief executive officer of MarineMax since the company’s inception in January 1998, and as chairman of the board and a director of the company since March 1998. McGill and his team took the company public in June 1998. McGill is married with three grown children and nine grandchildren. 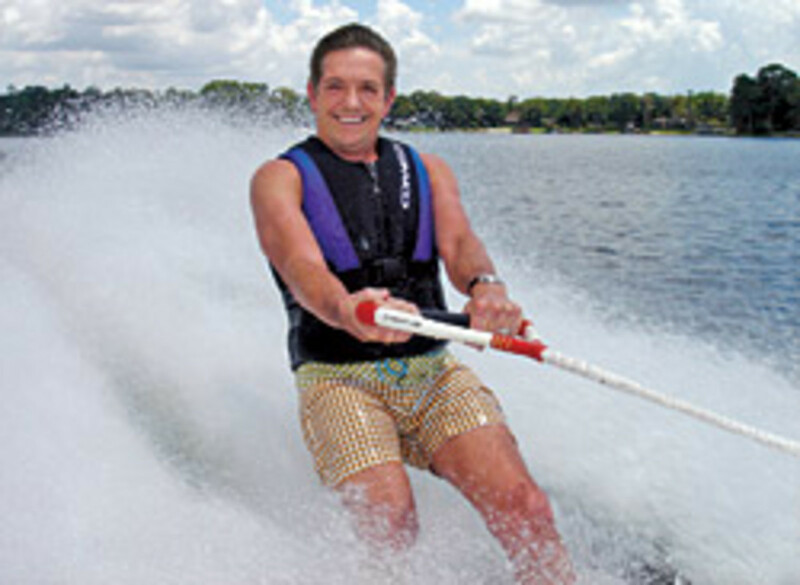 He enjoys running marathons and barefoot waterskiing. “I’m a young 65, and retirement’s not something I see in the future,” he says. Q: Your most recent earnings report shows a sharp decline in revenue, a drop in sales and a $134 million net loss for the fiscal year. Was it what you had expected — better or worse? A: Obviously, it was worse than we had expected. We would not have expected that big a decline, but business kind of de-accelerated throughout the quarter much more than we had anticipated, and I think the whole industry saw that same thing. This is like the perfect storm that’s going on and, in many regards, it’s not just in the U.S. This is a world storm, and it’s got everybody in a very ‘wait and see’ or ‘I can’t do it right now’ type of position. Q: Do you have a significant amount of 2008 models left over? You talked in your latest earnings call about MarineMax significantly reducing the number of 2009 models it ordered. What effect have you seen from that so far? A: When business slows down like it did, obviously we do have more 2008s than we would have historically had because sales were substantially down. We do not feel uncomfortable with our inventory from the standpoint of the mix and models. And we will sell our way through it, and we are doing that. But at the end of the day we had hoped for more sales, which would have relieved more of the 2008 product. But, that being said, we’re comfortable with it. People are still buying boats. Probably the biggest thing that we’re seeing that’s positive is our customers are still out boating. We are doing a record number of getaway events and trips with our customers. We’re doing more on-water classes. We’re doing more extended trips, but we’re being proactive in doing that. We’re calling up the customers and saying, ‘Hey, let’s get away from it. Let’s head off to this destination.’ It’s still going on in the Southern markets. Obviously, it’s slowed down some in the [Northern] markets, but we’re still inviting them into the showrooms and doing some winter type of get-togethers. That’s the positive thing, and I think probably the biggest hope for our industry is that people’s passion for boating has not diminished. It is there. They still love this recreation for what it does for them, and what it does for their family, and they’re not going to get out of it. They’re going to stay in it. Now, that being said, some of them are in a hold mode right now, saying I need to see where we’re going. I think there’s two big inflection points that are going to be real big for us, and probably for our industry as well. And one is when everybody becomes convinced we’ve hit bottom and that’s it. It’s not going to get any worse. We’re there. Then people will say, we can live with that, this is not too bad. I’m OK. I can still afford a boat. We can still get 20-year financing, and financing is still available. That will be one inflection point. The other one — and we’re all going to have to hang on for this one — will be when the recovery starts and people say OK, I’ve been talking to you about that larger boat, or that new model, and I’m ready. When can you get it ready? And that will happen. With all the news that’s been going on and with a couple of the markets that were most severely impacted with housing — Florida and California — we’re still selling boats. Our customers are still trading up. We sold a 72-foot Hatteras yesterday. People are still buying boats. Obviously, it’s very important that we manage our inventory to the current level of business. To do that necessitated reducing some of the orders that we had, in order to adjust for the inventory that we had. So when we get our inventory in check, we’ll turn that valve back on. But we have substantially cranked down on the handle, and there’s very little product coming in right now because we’re selling our way through the inventory that we have. Q: Can you talk about MarineMax’s certified pre-owned program? What kind of growth have you seen in the pre-owned market? A: It has been a success for us. We do an extensive check list and certify the boats and put an extended warranty on [them] if they do not have a continued warranty on the product. And the consumer sees that as value-added and [it] differentiates us from some of the other boats that are out in the used market. So it has been a success, and we’re going to continue with it. We only do that with late-model product anyway. These have to be good products that we can stand behind. But that doesn’t mean that we don’t go through all of the used boats that we have, that we take in on trade, and try to make them the best we can, but some of them just don’t come up to the standards of what we call a certified pre-owned. Q: Financing is a big topic these days. How difficult has it been recently to get financing for your customers and for your company. What changes have you seen in requirements in recent months? A: Really, there’s plenty of money available for retail financing of boats. That’s not an issue. It’s not like the well has dried up. The banks are still willing and, in fact, eager to finance boats because the loss ratio on marine is still one of the lowest of all the different types of portfolios out there, like RV and auto, etc. It’s good paper when they get it. Their buying rules really haven’t changed a whole lot. I’d say that they’re putting things under a microscope more than they used to. It used to be, if you had this credit score it was a done deal. It was pre-approved. Now they’re saying, well, OK, but we want to verify income and we want to look at your balance sheet in some cases. So the people who really can qualify are still able to get bank loans. Now, the ones that were marginal, I have to say that is an issue. And so they’re requiring bigger down payments, or they’re requiring more proof that they have the ability to pay. We don’t really do what’s called a floor plan. We have a line of credit with [many] different banks and we have an agreement, I think there’s three more years left on that agreement. We are in the process of renegotiating some of the terms, so that’s ongoing. I’d have to say yes, the banks are more conservative today than they were, and we’ve had a couple of big players pull out. It’s going to be a bigger problem for some of the smaller dealers. Not if you’re a good dealer, but if you’re a marginal dealer, it’s probably an issue. Q: MarineMax, being publicly held, is under more scrutiny than many companies in the industry. Why is being publicly held either a positive or a negative, or both, for your business? A: I’d say probably the biggest positive of being a public company is that our team members have ownership in the company, either through the manager’s stock options or we have a stock purchase program. It gives the ability for a lot of our team members to be an owner in the company. And we do have access to capital by being able to issue stock and do some offerings when our stock price will justify it. The negatives are we’re kind of at the whims of people that don’t understand our consumer and really do not understand our business and think we’re just another retailer. And [they] think ‘My gosh, how can anybody buy a boat in these times.’ So they don’t understand it. So they short our stock, short-sell it and try to drive the price down. Those that don’t understand it are convinced that we’ll probably go out of business, and we’re not. I’ve been in this business for almost 36 years, and we’re doing OK. We’re not proud of losing money last year, but quite frankly it caught us off guard. And I think it caught the whole U.S., [and] of course, now the world, off guard. It’s not something we can control, but it’s something that we have to adjust to and we are. We’re making S, G and A cuts, [selling , general and administrative] so we have done some reduction. We have closed a few stores and, if it makes sense down the road, we may end up closing a few more. But at the end of the day, it won’t be closing markets if we make those type moves. Being a public company, everybody knows I’m wearing red underwear today. Everything we do is pretty well public knowledge and with that comes some criticism, but that’s OK. We’re big boys and girls and we love our company and we love our customers and we have the right strategies. So we continue to take market share, and we plan on continuing to do that and, more importantly, we know that our strategies work. With our customer, it’s about teach me, service me and show me how to have fun. And we’ve got that nailed down. We’re going to continue on that course because that’s what’s going to keep this passion of boating going with our customers and, of course, keep our business going. Q: When people see your stock prices each day, what can we read into what that price means? (On Dec. 3, MarineMax was trading at about $3.17 a share. Its 52-week high and low were $16.68 and $1.25). A: Right now what it means is we’re trading at a fraction of our tangible book value. So as ridiculous as that is, and I think we never believed we could go below tangible book value, but there’s a lot of companies out there that are in the same boat as us. We tell our team we’re sorry that it’s where it’s at ... it will come back. We’ve got to keep demonstrating that what we’re doing is right … The history books will show, I think, this will be a story of the last soldiers that are standing in our industry. I think there’s going to be a lot of fallout. And it’s a shame in a lot of regards because some are dealers that have been in a long time. But it’s hard to run a business when it’s down 40-50 percent. That’s what we’ve all experienced. Q: What is MarineMax looking at in terms of store closings, or possibly new store openings in 2009? A: We’re continuing to look at it. I really can’t give you specifics. We are analyzing it, but that being said it’s important we serve our customers. It’s important that we serve the markets that we’re in. And we want to be a strong company and be there when this thing really comes back because that’s going to be the reward for our current shareholders and our team. Q: You talked in your earnings call about expanding certain brands to different areas of the country. Can you talk about that and how you came to these decisions? A: We picked up Azimut for basically southeast Florida, and there may be some opportunities down the road there to expand that some. We’re really only in two locations in Florida with the Azimut product, and obviously we’re all over Florida, so that’s an example. Beyond that, if opportunities come up, we’ll take a look at them and see where we go from there. We announced that we got Hatteras and Cabo for the Northeast, so we’ll continue to look at where we push that product as well, as far as additional locations. Q: What are some of the promotions you’re looking at for the coming year? What worked well for you in 2008? A: Obviously, the No. 1 marketing spend that we do is in our getaway events. We’re not backing off of that. If anything we’re growing it and so we want to continue to plan more. Last year we did the “World’s Largest Boat Sale” in August. And I think in June we did what was called the “Great American Boat Sale,” which was done in Bass Pro Shops, and at some various off-site locations. We haven’t made the decision whether we’re going to do those this year. A lot of it depends on what’s going on. Right now, boat shows are working somewhat, but nowhere near what they used to do and so I think we made the decision we’re backing down on boat shows. At the end of the day, most of the people we see at boat shows, we’re talking to anyway. So the best thing we can invest our money in is taking care of our customers, making sure that they’re having fun and getting repeat referral business. If you’re going to buy a boat … you would ask someone who boats. And so what better marketing tool is word of mouth. 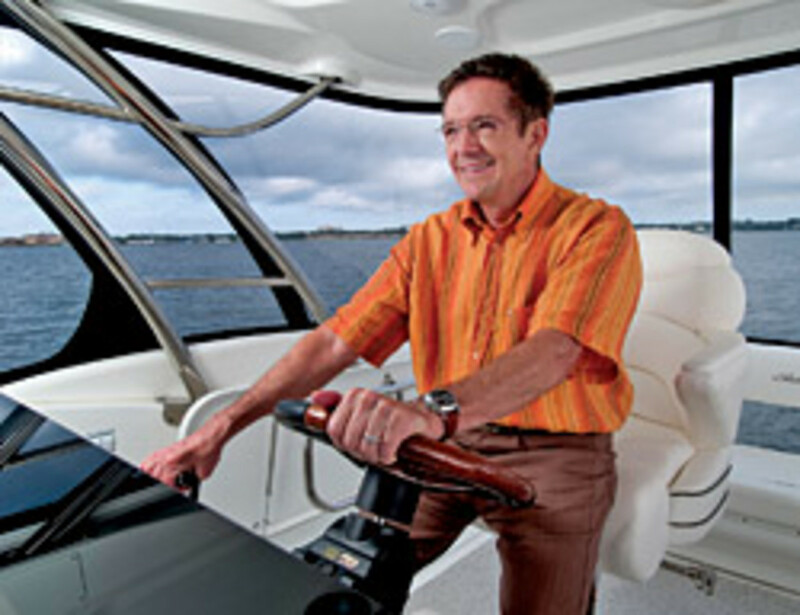 Q: MarineMax either holds or takes part in a lot of events for boaters, separate from the boat shows it participates in. Do you think these events are the company’s most important marketing tool? A: Absolutely, the best. There’s nothing any better. It goes back to what people want — you need to teach me, you need to service me and you need to show me how to have fun. And the show-me-how-to-have-fun is just as important as teaching them and servicing them, because people do want to enjoy their family. They do want to make new friends. They do want their kids interacting with other kids. And so when you’re doing these events, whether it’s for the weekend, or a day at (an island) off Clearwater, Fla., or an island out in Biscayne Bay or if it’s an extended trip to the Keys or the Bahamas, that is powerful. When the family returns, following a one-day or a two-week trip, they tell not only the rest of their family and their friends, but they also tell their associates ‘You’re not going to believe what we did. We had a blast. And you know what, I turned off my Blackberry. I turned off my cell phone, and I focused on my family. We did water skiing, we did scuba diving, we did fishing. We laid on the beach. We had recreational games.’ That is what it’s all about. Q: What is your outlook for the upcoming winter boat show season? And how was the fall boat show season? A: We had a pretty good Fort Myers boat show. I think Fort Lauderdale exceeded our expectations, but our expectations weren’t very good. The one thing we’re seeing this year versus last year with the shows that we have been in thus far is that the retention seems to be better. The attendance is down. You can read reports that Fort Lauderdale was flat and somebody’s smoking something because it absolutely was not flat. It was way down, but the quality of customers that were at that show was outstanding. The boaters are still there. The lookers didn’t come. So the attendance was down. We’re seeing that at all the shows, but what we’re seeing is our retention seems to be better. We’re getting less fallout than we did a year ago. The sales we made are closing. We’ve got the St. Petersburg Boat Show (Dec. 4). It’s an in-water show, and we’ve got Yacht Expo, which is a big event that Sea Ray puts on over at their factories near Merritt Island. We’ve got a lot of customers coming in, several hundred families coming in who are very serious about buying some bigger Sea Rays. The New York show is in December this year. We think that’s a much better time because people will still be in the city. We’re optimistic. Now, that being said, we have reduced the size of our displays. It doesn’t mean that the quality of the display has been reduced. In fact, if anything, we’re making it more lifestyle. But we’re going to spend less money at the shows. But we think that the buyers will still be there because people’s passion for boating is not cyclical.